Today’s free lead in water testing announcement comes to us from the Portland Water Bureau, an organization that has made the lead in water testing services of its State and EPA accredited water testing laboratory available to the general public — for free. Residents living in the following areas may submit a water sample for free lead screening: Burlington Water District, City of Gresham, City of Tigard, City of Tualatin, City of Sherwood, Lake Grove Water District, Palatine Hill Water District, Raleigh Water District, Rockwood Water PUD, Tualatin Valley Water District, Valley View Water District, and the West Slope Water District. Specifically, the Portland Water Bureau would like for households statistically at the highest risk for lead contaminated water to participate in their free lead in water program. These households include, but are not limited to, buildings constructed between 1970 and 1985 that have homes with children age 6 (or younger) and/or pregnant women. This does not mean, however, that any other household in the aforementioned areas cannot participate. The Portland Water Bureau will gladly test water samples for any home in the region that has concerned that its plumbing contains elements that may leach lead into its drinking water. As proof of Portland Water Bureau’s commitment to safe drinking water in the region, in 2008, the Portland Water Bureau laboratory performed more than 1,100 free lead-in-water analyses for residential customers and more than 130 free lead in water analyses for customers of participating wholesale drinking water providers. 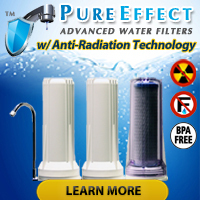 As of right now the Water Test Kit Store carries the WaterSafe Lead in Water Test Kit, the SenSafe Water Test Kit (which contains a test for lead in water, a test for pesticides, and two tests for 12 other water quality parameters), and the WaterSafe City Water Test (which contains a test for lead in water and 5 other water quality parameters). 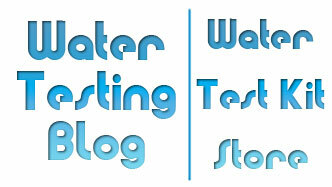 Regardless of whether you locate a program in your area offering free water testing or you opt to perform testing on your own, what matters most is that you your water gets tested regularly. « Why Does My Pool Have No Chlorine Reading?